Ideas, policy and guidelines are all good. We bandy around the words "sustainable", "green" and "resilient" but how do these words, these principals actually become groundtruthed and implemented? How do you ensure that once you have interested developers, that they follow your vision and implement a development that reflects green design and construction? Many cities may have policy goals around this language to achieve in their Official Plans, Transportation and Greenspace Master Plans and Environmental Strategies but until these policies and values filter into the actual day-to-day operating principals and procedures of a municipality there is no way to guarantee that they will be implemented. One method of encouraging this is to have these types of policies integrated into land development IMPLEMENTATION strategies. These strategies will ensure that development can meet goals of 33% tree coverage, 50% green roof and walls, 75% native plant species, etc. This can be done through Development Review Checklists (with biophilic goals outlined), bonusing and reduced development charges and LEED certification. Waterfront Toronto development is one example of how this can be done. The Waterfront Toronto has not only a Sustainability Framework but also Minimum Green Building Requirements which will "ensure that all new buildings along the waterfront are efficient in their use of resources and take advantage of new approaches and technologies to deliver a positive impact on the surrounding air, land and water". For this development, "Twenty-five percent of the waterfront revitalization area is reserved for parks and open spaces." "No grade change, storage of materials or equipment permitted with this Tree Protection Zone. 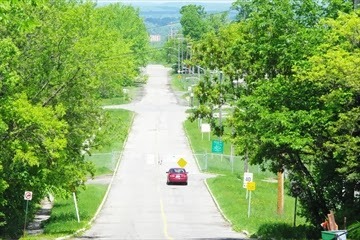 Tree protection barrier must not be removed without the written authorization... Urban Forestry Services." Root damage, trunk/bark damage, soil compaction and other activities from construction such as exhaust fumes from equipment can all compromise the health of a tree. 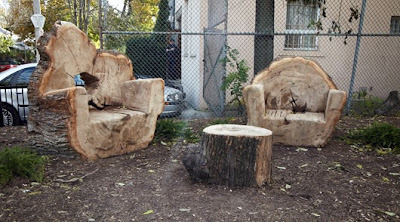 Even if the tree does not seem to suffer during the time of construction, there may be enough damage that the tree's ability to survive over a longer period of time may be weakened. This redevelopment includes identifying ways in which the Algonquin presence can be reflected on the Rockcliffe lands. "The history and connection of the Algonquin People with the Rockcliffe lands may be recognized through: installation of commemorative elements design of park spaces naming of streets, etc. Through the Consultation Working Group, Canada Lands Company and the AOO will jointly coordinate public unveilings of these initiatives. CLC recognizes that a commemorative opportunity on parkland overlooking the Ottawa River is of particular significance and interest to the AOO." A site that honours and protects the native species (both flora and fauna) and allows for them to continue to flourish would be a great way to commemorate the First Nations People. Involvement with the First Nations (through the Wabano Centre perhaps?) 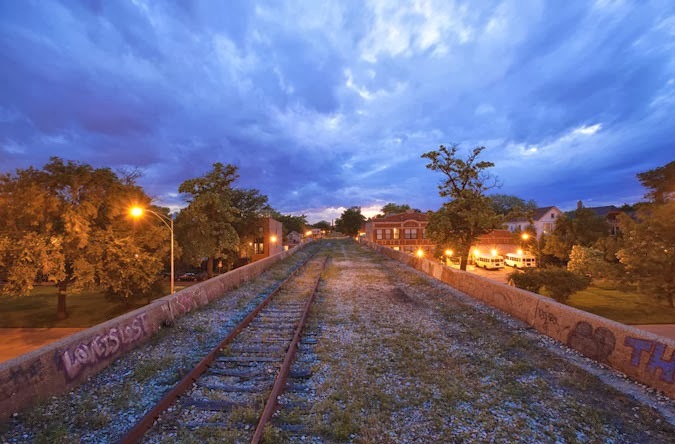 could also include leading the new neighborhood in efforts to connect with the land after the development. This could include tree plantings, nut-harvests, tracking and living off the land workshops and even managing the tree nursery! And one last thought - shouldn't the naming of the this new development reflect its aboriginal heritage? Prior to the 17th century when this land belonged to the Algonquin people was there a name for it or could it be named after a prominent figure in either the Algonquin people's past or someone who should currently be honoured? This is a great opportunity to ensure that this site will be forever recognized as Algonquin lands. If you still want to send your thoughts and comments to Canada Lands Company it is not too late. You can find their contact information on the Canada Lands Company Rockcliffe Lands website (syau@clc.ca, info@clc.ca). I did not find an email address for the Ottawa office however. 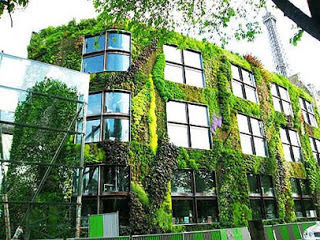 One of botanists Patrick Blanc's most famous green walls in Paris. "Swifting" - Chapman School in Portland Oregon. Green roof in Downtown Ottawa, Canada. 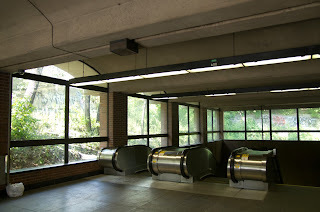 Montreal subway entrance surrounded by green. 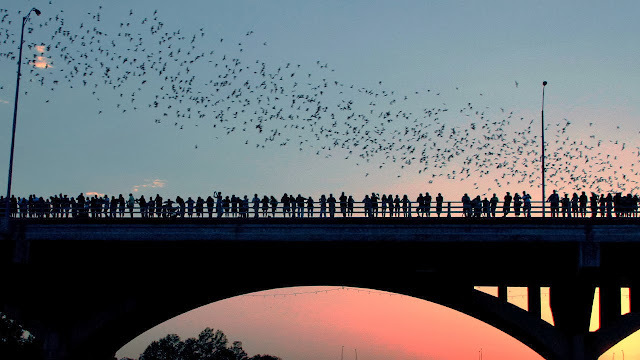 Bat watching in Austin, Texas. New green roof at Algonquin College, Ottawa, Canada. First there was the City Hall's Rooftop Garden (in 2001) and the Green Roof Grant Program which provided grants to both big and small buildings in both the residential and commercial sectors. 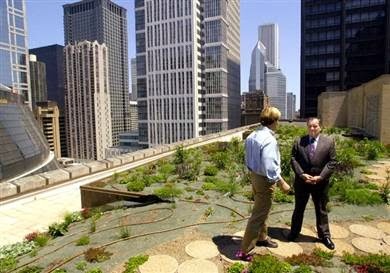 By 2008, Chicago was the leading city in the U.S. with the most green roofs according to Green Roofs for Healthy Cities' Annual Green Roof Industry Survey. 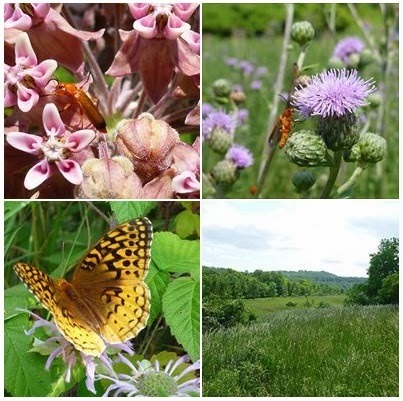 Next it was the city's Nature and Wildlife Plan (in 2006) along with a Nature Areas Directory which listed more than 4,800 acres of prairies, savannas, dunes, woodlands, wetlands and potential restoration areas at 98 sites throughout the city. This plan "established a framework to protect and expand ecosystems for the benefit of wildlife and people." As a follow-up in 2007, Chicago initiated its Green Alley Program which addressed the municipalities infrastructure issues. The program introduced permeable pavement, bioswales and encouraged residents to consider rain gardens and purchasing rain barrels. And then after that it was an Urban Forest Agenda in 2009 which would work hand in hand with the already established Nature and Wildlife Plan. The goal here was to strengthen the urban tree inventory that was already in place and to enhance it with more trees, green infrastructure linking parks and creating programs to enlist local citizens to play a part in their street and park trees. 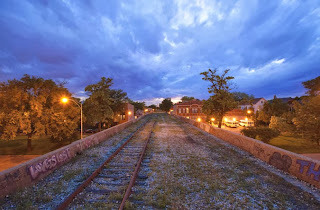 Now it's the 606 - Chicago's answer to NYC's High Line and the Burnham Wildlife Corridor along the shore of Lake Michigan. 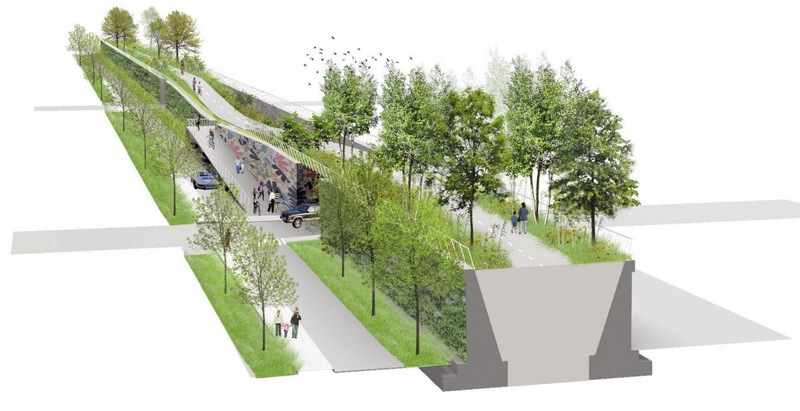 First of all the 606, which will ultimately dwarf the New York City's elevated park, will be 2.7 miles long (the High Line is 1 mile) and will encompass 13 acres of land (adding five new parks). It will connect four neighborhoods in the northwest end of the city. One other difference to the High Line is that bicyclists will be accommodated on the 606 (or Bloomingdale Trail) whereas only pedestrians are allowed on the High Line. 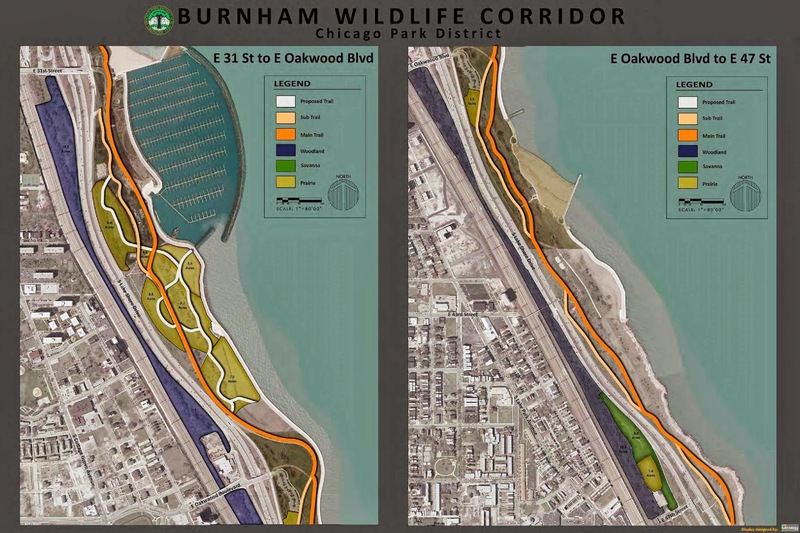 For the Burnham Wildlife Corridor, located on the city's south side, the Chicago Park District enlisted thousands of volunteers to plant 125,000 trees and shrubs this summer which will provide a resting area for the 5 million birds that migrate through the city every spring and fall. Many of them, with no place to land, found themselves colliding with the glass highrises downtown. This project will help ensure the safety of Chicago's avian visitors. P.S. Check out my new "urban wild" nature blog: Wild. Here. (2016 update) It would be amazing to visit this city and profile it at some point for Wild. Here.! Imagine! 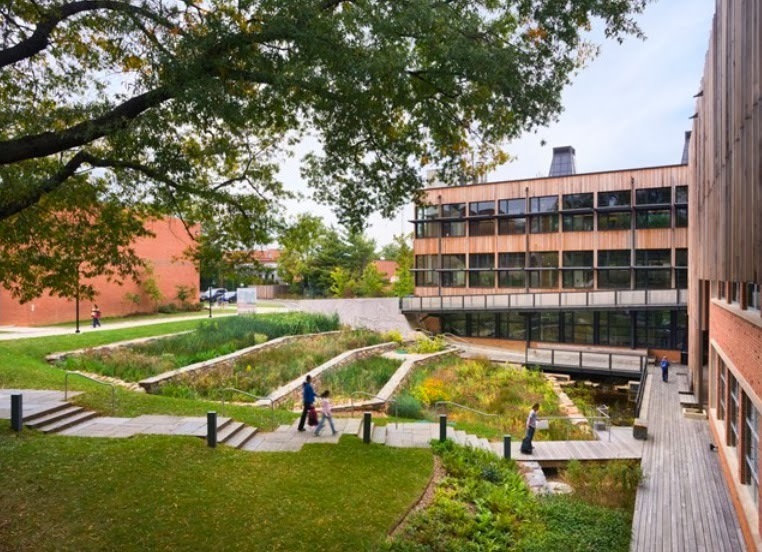 The First Biophilic Redevelopment Project in Canada! Finally!! 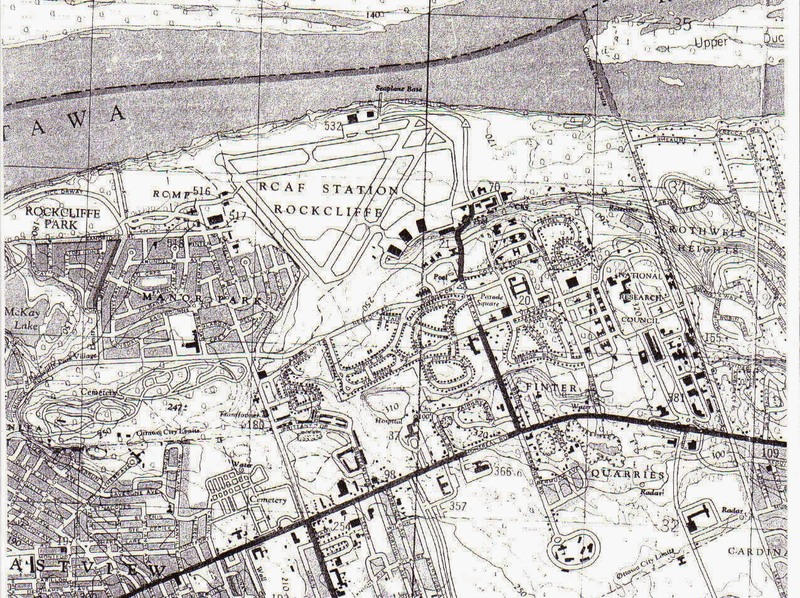 I have written those much promised blog posts on the Rockcliffe Lands Redevelopment. I'm only a year late! I still have one last post to do and I hope to get it done this month and provide my comments to CLC. I can't wait to see what this development shapes into in the upcoming years! Description of the first public open house (October 2012) and their Green and Blue conceptual drawings. Consideration for heritage old growth trees, green corridors to promote ecological diversity and the surrounding landscape. If you still want to send your thoughts and comments to Canada Lands Company it is not too late. You can find their contact information on the Canada Lands Company Rockcliffe Lands website (syau@clc.ca,info@clc.ca). I did not find an email address for the Ottawa office however. UPCOMING: Rockcliffe Lands Redevelopment (Part 5) which will include a discussion on the potential for Biophilic Guidelines (based on Toronto Waterfront's Sustainability Guidelines) and honoring Algonquin Lands. Stay tuned! 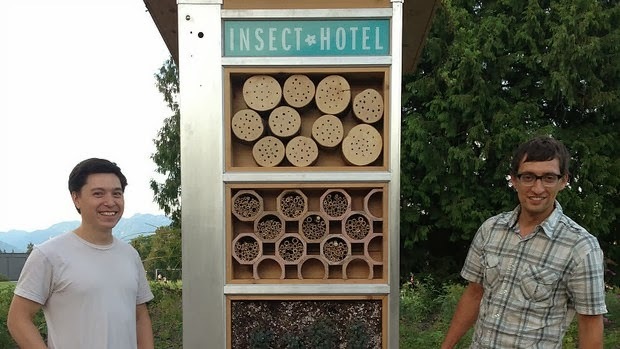 Hartley Rosen, executive director of the Environmental Youth Alliance, and Nathan Lee helped build an insect hotel out of an old telephone booth. The new hotel is part of a trail of green spaces to encourage more travel and pollination. There are 12 cedar boxes filled with various materials, like maple logs, known to attract bees found inside. So how to get people on board in terms of the potential for this type of biophilic development? Tell them all about the local birdwatching opportunities, the beautiful landscaping, the zen-like rainwater ponds and the idyllic setting that they would be living in. Opportunities to forest-bathe, enjoy nightly avian performances, take in the pleasures of pollinator parks, meet new neighbours like chimney swifts or purple martins and play the old fashioned way. People will benefit in so many ways by having a more natural surrounding and being drawn outdoors. How else can the Rockcliffe Lands be redeveloped so as to allow the green surroundings and its fauna to flourish? This area and its surroundings is a big draw for birds. Not only is there the Ottawa River to the north but you have two marshes and a stream connecting them on the west side. At least a 100 birds have been seen in this area including the Bobolink and Bluebirds. 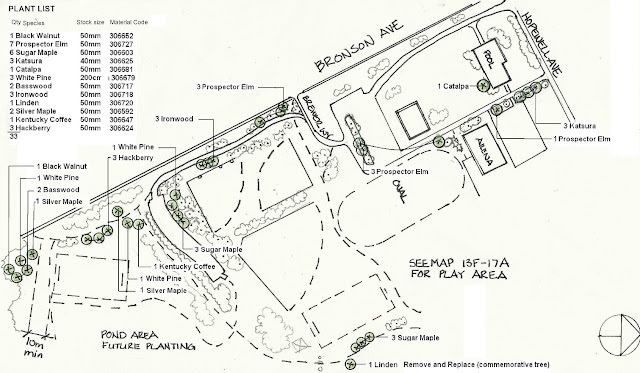 The project has already identified small stands of trees that should remain and the wood lot in the north-east corner. 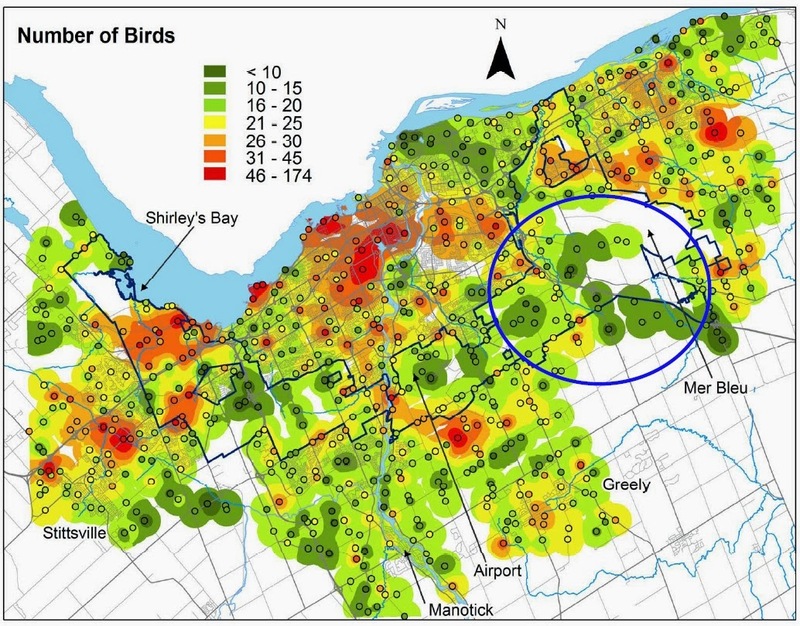 To support and increase the diversity of birds in this area, habitat for birds needs to be included, along with efforts to decrease hazards for birds. Habitat can be hedge borders, shrubby areas, open fields and trees. It can also include manufactured constructs such as purple martin housing or chimney swift towers - see links above. (It would be a great opportunity to build some demonstration towers here as new development does not include brick chimneys such as houses used to have.) There also needs to be water and food for the birds - which can be provided by the proposed blue areas and hedge borders and shrubs (for berries and seeds). Also bird-friendly design guidelines should be recommended. Buildings (especially glass towers) can be a hazard for birds and result in deaths due to collisions especially during migration. Any new highrises should be designed to minimize dangers to birds. Hand in hand with birds of course are bees! And when designing pollinator parks, it is beneficial to include insect habitat such as mason bee condos and insect hotels. Mason bees are not known to be aggressive and are a great benefit for pollination of a green urban environment. Going beyond that, insect hotels provided different sizes, shapes and materials for sheltering many types of insects and will ensure greater biodiversity in neighbouring gardens and lands. And another beneficial neighbour would be bats. These flying mammals help regulate winged insect populations, especially mosquitos so building design and/or park design could include recommendations for increasing habitat for them. Some golf courses are encouraging bats to reside on their property. If people are going to live in a more biophilic environment what needs to go hand in hand is an education program to help people adapt to more frequent encounters with all types of fauna and how best to discourage unwanted visitors. There are ways to COEXIST WITH (coyotes, skunks, crows, etc) WILDLIFE in a less confrontational manner. 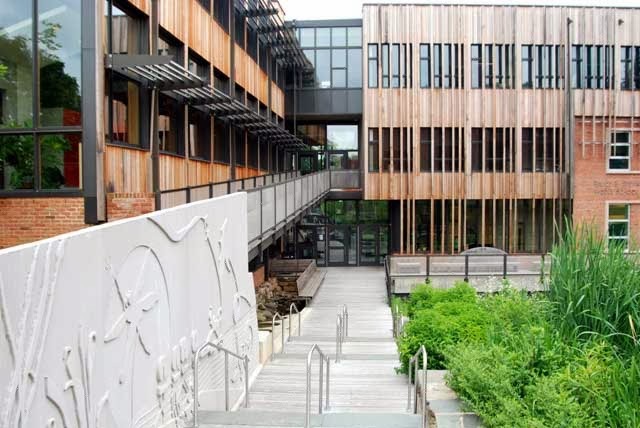 The Sidwell Friends Middle School in Washington D.C. has gained international recognition as the first LEED Platinum K-12 school building in the world built in 2006. "Its green features include a constructed wetland that treats wastewater on site, recycled building materials (such as reclaimed wine caskets to make the building's skin), three green roofs (that provide habitat, reduce urban heat island effect and insulate), sunshades, solar chimneys (which enhance natural ventilation), and rooftop photovoltaic panels (that provide for all the school's electrical needs)." "Constructed wetlands use less energy to process waste than traditional municipal systems while creating habitats for plant and animal life. After first flowing through a treatment tank to remove solids, wastewater is treated using biological processes. Aquatic plants, water, microorganisms, sun, soil, sand, and air filter and clean the water. The process is completed with additional filtration of particulates and an ultra violet (UV) filter. 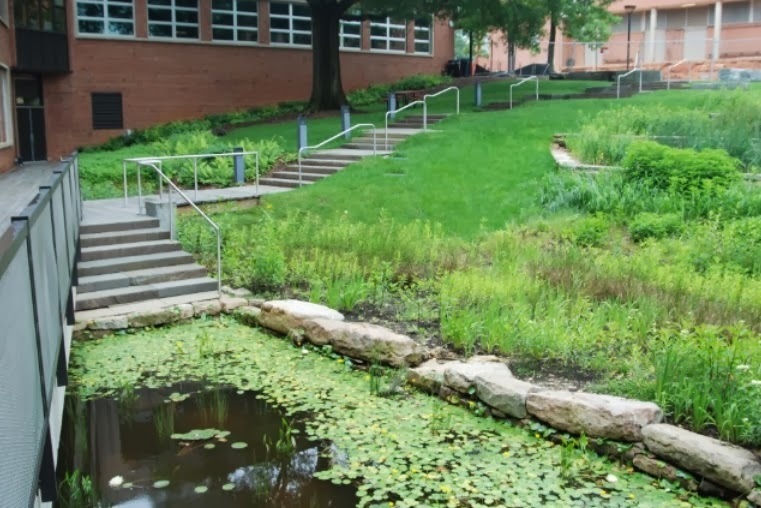 The constructed wetland behind the Middle School building treats wastewater to the same standards as the city’s municipal system but due to current health codes, the water is reused only in the toilets and urinals. 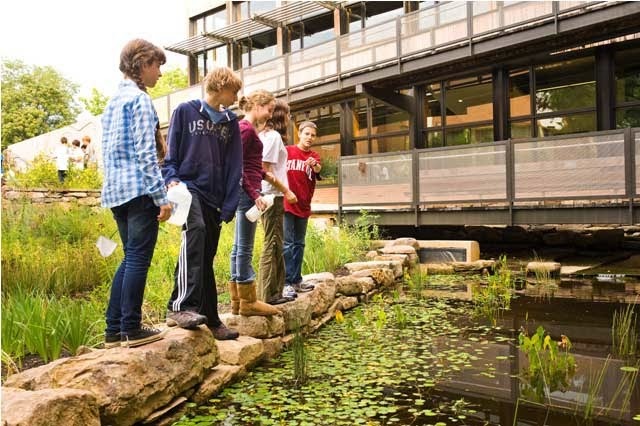 Models show that the building uses 93% less District water by treating our sewage in the wetland and reusing the water, as well as through water-efficient landscaping"
All Images from Sidwell Friends website. Did you know that the City of Ottawa has a natural public playground? 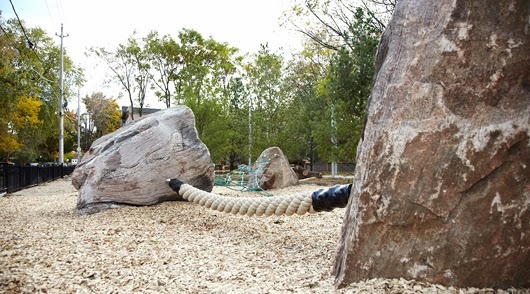 "A new natural playground park for the enjoyment of families at the Fairlea Park in Gloucester-Southgate ward is being built this Thursday through a partnership between the City of Ottawa, ING DIRECT Canada and Bienenstock Natural Playgrounds." From Bienenstock website: "Playscapes are Natural Playgrounds. They are designed with the intent to bring children back to nature using: fallen logs, tree stumps for seating, vertical logs for forts, slides embedded in the side of hills etc... Playscapes and Natural Playgrounds offer a wide range of open ended play options for children while remaining safe." In 2012 "advocates lobbying for a more natural, challenging schoolyard announced the formation of the International School Grounds Alliance, a global voice to address the “increasingly sedentary and risk-averse generation of children disconnected from nature.” Its members hail from Australia, Canada, Germany, Japan, Sweden, the United Kingdom and the United States — all countries hoping to trade ideas and become an influential force that will help schools see the learning opportunities that can come from peering under rocks and maybe even skinning a knee during recess." "My employer, ING DIRECT put forward a staff challenge to come up with an idea to get as many employees as possible involved in a community improvement project. 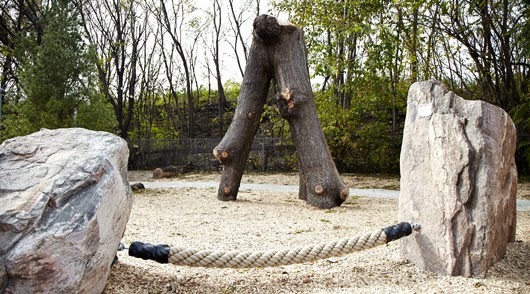 I put forward the winning idea of building the city of Toronto’s first natural playground. On September 17th 2009, close to 500 ING DIRECT employees transformed McCleary Park into an innovative playscape featuring a hill slide, climbing boulders, sand area, musical instruments, mature trees as well as an inverted tree." Toronto's world famous Royal Ontario Museum (the ROM) was the location of the 2011 NASBR Teacher's Workshop in association with the annual meeting. Never before have we had such a visually stimulating site for this important event. Burton Lim and Judith Eger, NASBR members and scientific researchers, are both employed at the ROM and made all arrangements to accommodate 35 teachers for the 6-hour workshop. Presentations were given on the ROM bat exhibits, Ontario bats and their biology, live bat demonstrations, an identification key exercise using museum study skins, and classroom activities using "Year of the Bat" education resources. This year's faculty included: Burton Lim, Judith Eger and Dave Ireland from the ROM; Erin Fraser, University of Western Ontario; Paul Faure, McMaster University; Andreas Streit, UNEP/Eurobats; James Eggers, Bat Conservation International; and Jacqueline Miller, University of Toronto. While faculty and teacher participants enjoyed a lovely private lunch at the ROM, they were treated to a book reading and signing, Burton & Isabelle Pipistrelle: Out of the Bat Cave, presented by the author and artist. 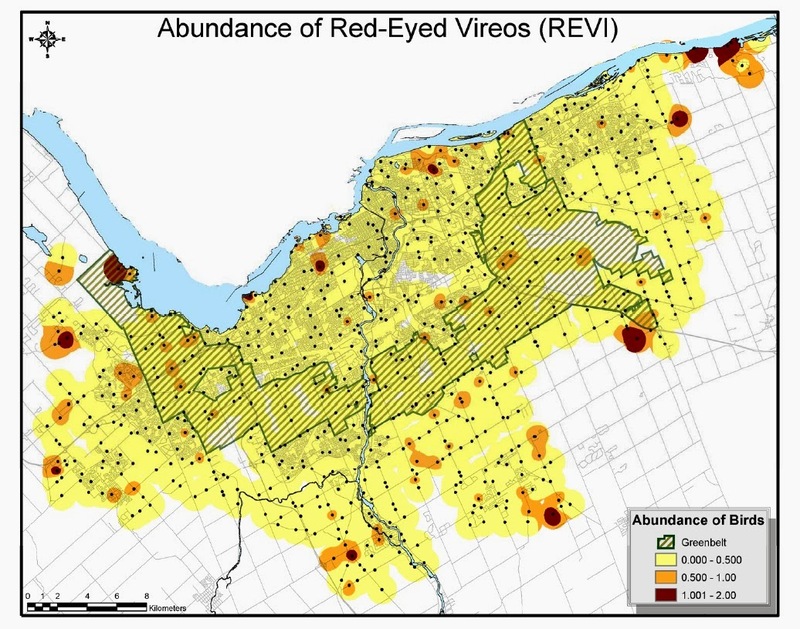 Abstract: The Power of a Small Green Place is an ethnographic case study among the volunteers and urban wilds of Ottawa’s Fletcher Wildlife Garden (FWG). Through the conceptual lens of the geographical concept of place – with its wide range of physical, relational and deeper meaningful considerations – this urban wildlife habitat project emerged as a place of profound significance. Volunteers working to create and maintain the FWG’s diverse habitats benefit from opportunities to engage in physical outdoor activity, establish social connections, make contact with the natural world, find deep personal satisfaction and meaning, and experience healthier and mutually beneficial relations with nature. This case study fills a knowledge gap in geography regarding the significant relationships that can emerge between people and the land they work with, thereby contributing to geography’s “latest turn earthward” examining practices and relationships of cultivation with the land. The case study also contributes to a growing interdisciplinary dialogue on human-nature relations and their implications in the context of future environmental and societal uncertainties. The full thesis can be read here: Ottawa University Thesis: Fletcher Garden, Renate Regier. Speaking about Fletcher Wildlife Garden - there has also been a great recent blog post and video - check it out here on Housecraft. We learned about this project, which was done in 2005-2006 in class. 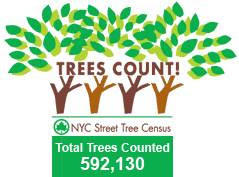 To do this tree census almost 1000 volunteers, logging over 30,000 volunteer hours over 2 summers inventoried 592,130 trees. They were given 3 hour orientation training and field guides to help and then city field staff were available for follow up by responding through telephone hotlines and e-mails to address questions. Today there is an app for that! 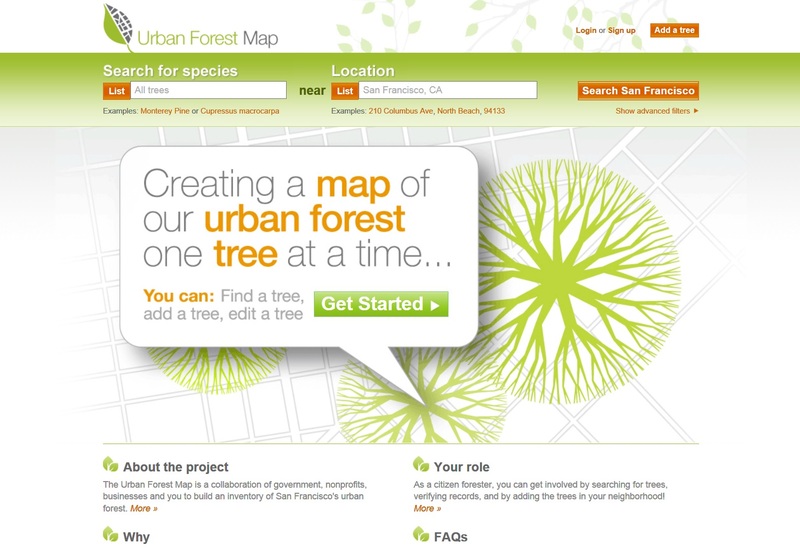 The response for a tree ID phone app was so high, Leafsnap was born! 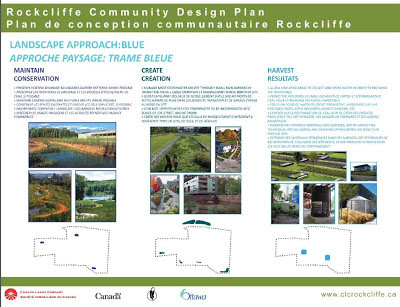 How can the Rockcliffe Lands Redevelopment site become the FIRST BIOPHILIC REDEVELOPMENT in CANADA?? 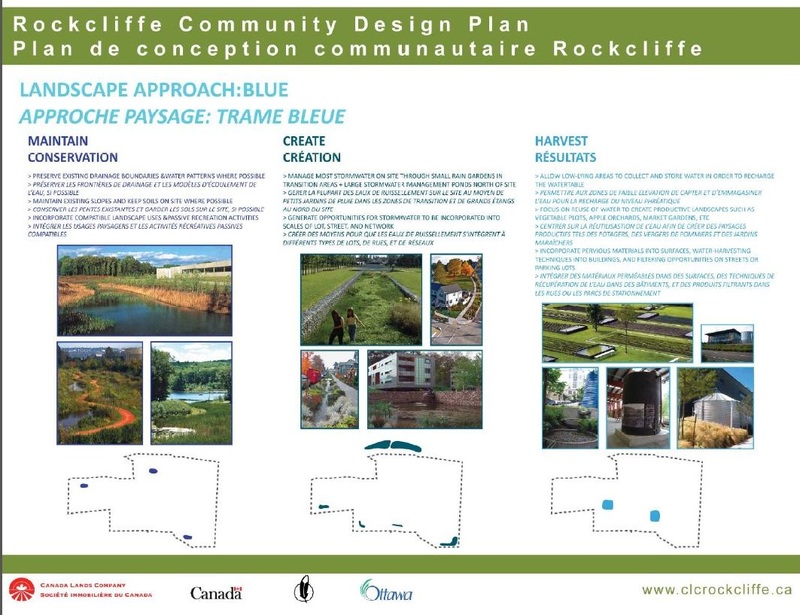 This is the second part in a series of how best to redevelop Rockcliffe Lands to create a ecologically sound development that considers the flora and fauna surrounding and within it. The proposed blue landscaping sounds wonderful: small rain gardens, recharging water table through naturalized low-lying areas, storm water both on and off site, etc. These ideas need to be kept on the proposal at all costs, no matter how tough the priority setting is. By managing water in the most natural way and working with the landscaping this will allow savings and avert potential crisis in the future. Imagine having bioswales between houses along some of the higher elevated lands? A natural feature like this would be a boon to housing values. In the Lashley + Associates example this equates to just a three metre easement between the houses. One possibility that hasn't been proposed is the opportunity to build Ottawa's first constructed wetland for sewage. I was on a campus in Lindsay Ontario for two years that housed its own constructed wetland and there were none of the issues that you may associate with a sewage facility including odours, insects and/or overflows. It could be well designed like this bioretention facility in Portland or this constructed wetland in Washington D.C.. With an internationally recognized research institute (the Centre for Alternative Wastewater Treatment) only three hours away from Ottawa, it would be a waste to lose an opportunity like this to test urban applications of these wetlands. And a wetland like this would help ensure that this property becomes a truly biophilic development. In the last post I discussed some opportunities in terms of wood lots on the site (and adjacent to the site) but I would like to propose more in this post. I've mentioned before the benefits of having a 10-hectare wood lot and that Ottawa needs to protect what they have and consider more. 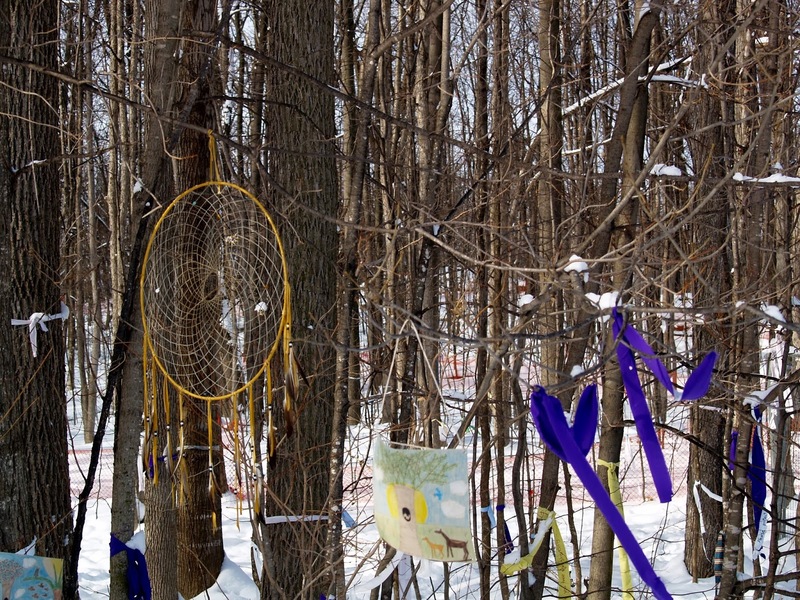 There is a great opportunity here to create a larger forest that combines the Montfort Woods with some of the south-west corner of the Rockcliffe Lands. Presently Montfort Woods is only 9 acres (3.5 hectares) which could easily be expanded into the new development to create a 10 hectare plot. This would equate to only 5% of the Rockcliffe Lands - perhaps it could be designed to accommodate this - a bit denser housing and more green space left intact? Yes these N.C.C. woods presently are not that ecologically sound with periwinkle invading in many corners but these woods are worth saving. The Montfort Woods was declared an environmentally sensitive area in 2004, which ensures that this property will not be developed. 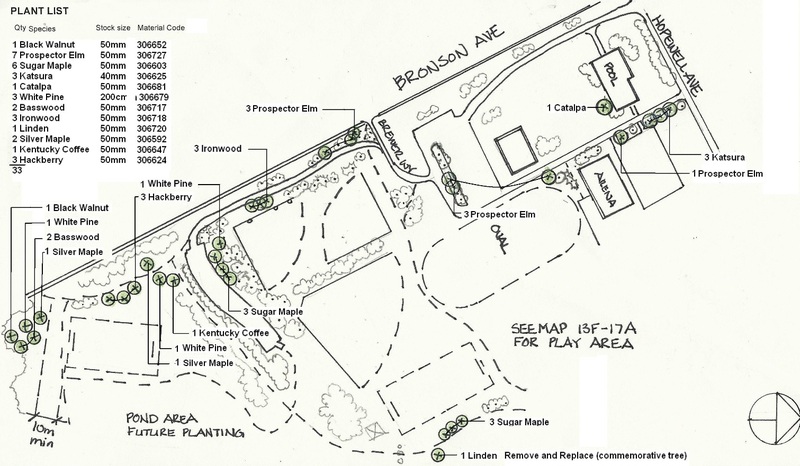 The Rockcliffe Lands redevelopment project has already proposed some buffering around this woods so that there isn't an abrubpt change from woods to backyard lawns. This type of transition zone, such as a shrub border, would help safeguard its ecological integrity. Once the development has been built and there are local citizens who can get involved, the neighborhood could consider public education regarding these non-native forest flora invaders and "No Dumping Garden Waste" signs along the border of the woods. Rockcliffe Lands could even partner with the N.C.C. to run a program like Edmonton's Master Naturalists to help protect the local wood lots and the surrounding corridors. Another great consideration that has been proposed is keeping as much of the natural elevation as possible. 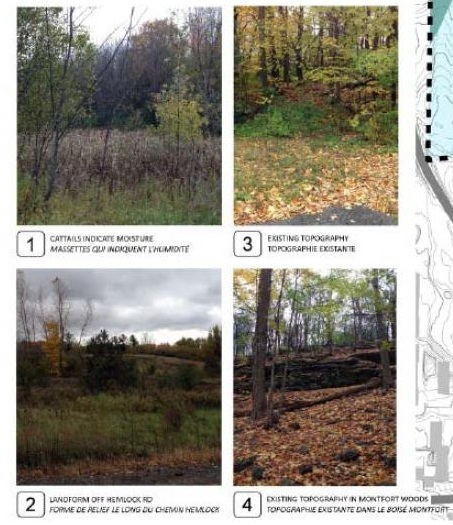 This land sits above the Ottawa River with some great viewsheds and some rock outcroppings and it is a wonderful idea to recognize the landscape and terrain as a important feature to retain. The best way to recognize and work with these natural features is to landscape them or wildscape them as naturally as possible using native plants. Xeriscaping (designing a garden with plants that are drought-tolerant) would be an ideal way of having municipal landscaping that was low-maintenance. Some areas could be naturalized and left unmowed to provide natural habitat for various fauna including bees and birds. Some hedge borders in less accessible areas and around the north and western edges of the redevelopment would also provide habitat and/or food (such as berries) and wildlife corridors that would link various green spaces. All in all, what has already been proposed is a great start and those behind the plan have a keen eye for the natural assets that the Rockcliffe Lands have to offer. Let's hope that they continue to see the benefits and that the community backs them up! NEXT UP: BIRDS AND BEES AND OTHER BENEFICIAL NEIGHBOURS! "As Canadians we cherish the summer months that bring sunshine, warm weather and the urge to spend time outdoors. 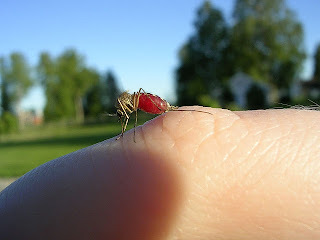 Inevitably, the summer season also brings pesky critters into the mix, including house flies and the dreaded mosquito. Although these uninvited guests could put a damper on your summer plans, they all play an essential role in nature. At Orkin Canada, we believe that every pest has a place, and while not in our homes, hospitals and public buildings – they are indeed a crucial part of our ecosystem. The following lists the roles they play in the natural environment. House Fly In Nature: Although they may bug us, flies are an essential part of the food chain. House flies have an important role in nature pollinating plants and recycling all things dead and decaying. It may not seem glamorous but flies play a vital role in assisting the decomposition of dung and decaying matter, plants or animals. Mosquito In Nature: Mosquitoes are delicious to eat and easy to catch! Mosquitoes are the main course for multiple species including spiders, salamanders, lizards, frogs, bats, birds and multiple species of fish. Without mosquitoes of off the menu, many of these animals would lose a primary food source." 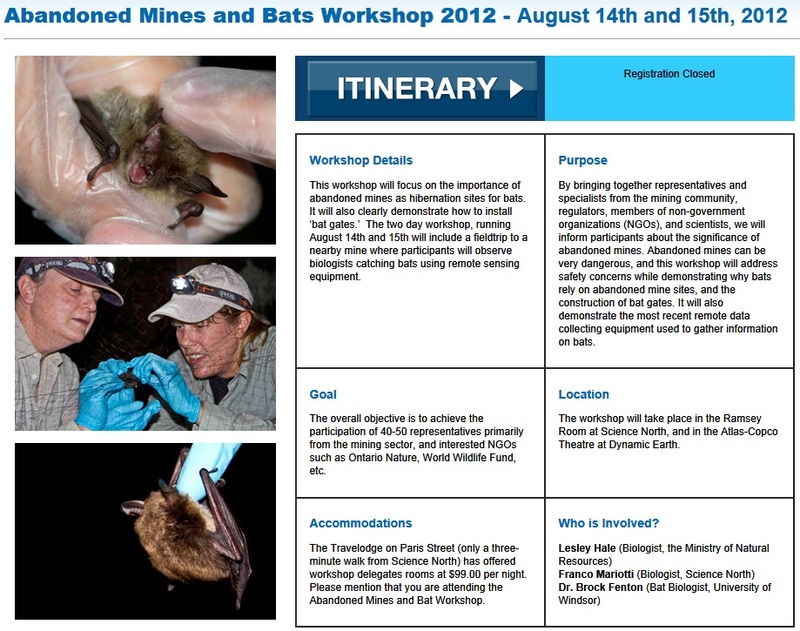 WHY have an Abandoned Mines and Bat Workshop? Why Mining Companies Should Become Involved? Mining companies will increase their knowledge on ‘mitigating measures’ for abandoned mine. ‘Bat gates’ are an effective way to protect bats in abandoned mines and keep people out. The technology used to monitor bats and the information collected is easy to access, even by non-scientists. Mining companies can be proactive at protecting bat species by identifying abandoned mines used by bats. - Last year they held two expert-led birding outings in May and September. They were given by Bruce DiLabio and enjoyed by several dozen local residents, including a half dozen youngsters. 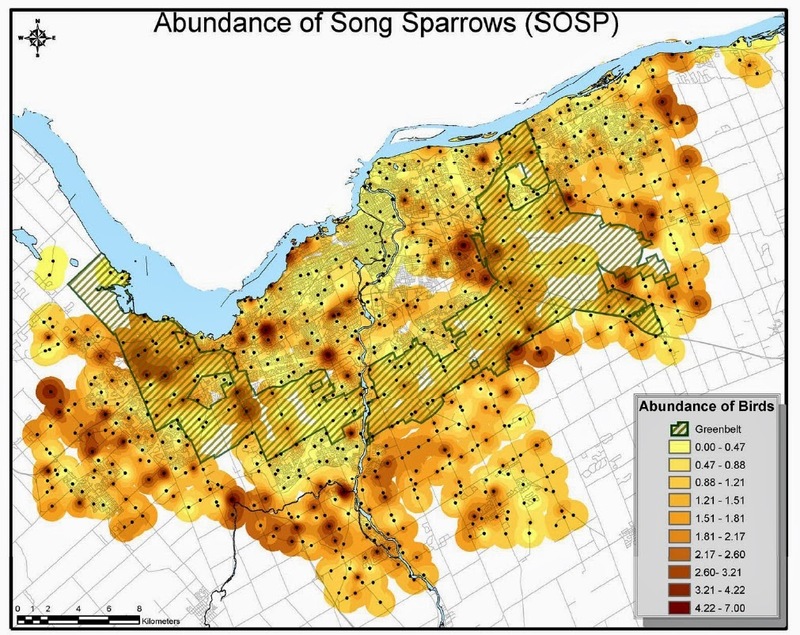 In May they toured the neighborhood to see what birds live and/or migrate through Old Ottawa South and in September they expanded the tour to include other neighborhoods including Brantwood, Windsor, Brewer, Lansdowne Park as well as Dow's Lake and Sawmill Creek. The idea was that participants would learn about some of nature’s most exquisite animals without having to clock mileage in a car and to open eyes and ears to the beauty of birds that can be found in the city. Glad I saved this editorial (below) as now the link is gone. (This blog is like clipping newspaper articles for me - somewhere to keep all the information I read.) It is great to read that the project is funded by developers to enhance natural areas (to replace what has been developped). I hope to read/hear about more projects like this. Perhaps developers should plant 1000 trees per hectare that has been lost or pay for removal of invasive species that are threatening urban parks and waterways (such as periwinkle in Montfort Woods or dog-strangling vine found in Fletcher Gardens and along the canal). The City of Ottawa should start an environmental fund like that (mirror on the gas tax program) where developers are taxed or pay heavy fines depending on how much ecosystem is lost during construction of new suburbs. Construction timing window (dependent upon getting all permits) is hopefully from August to October. 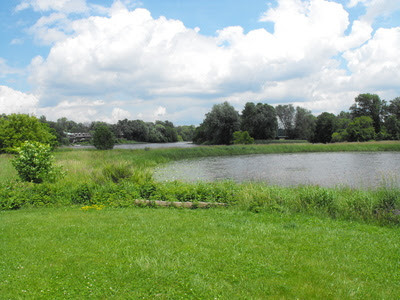 The restoration project would reconnect the pond to the Rideau River and create a wetland shoreline adjacent to the sports field. This would allow fish year round access in and out of the pond and by altering elevations allow more diverse submergent and emergent aquatic vegetation in the pond. The wetland portion would also provide a suitable environment for fish spawning,and improve water quality for the Rideau River. Springtime in the city doesn’t have to smell like dust and concrete. It can also smell like ponds waking up, plants bursting and small eco-systems coming back to life. Supporting nature, beyond simply grass and trees in parks, helps keep a city healthy in many ways. Ottawa is blessed with plenty of wildlife just outside the city, which can improve the quality of life of those who can get to it. 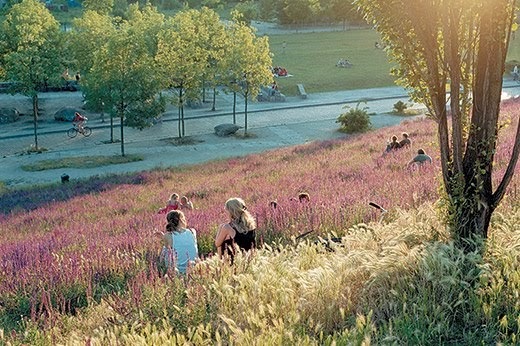 But nature within the city can have an even greater effect on neighbourhoods and the way people live. Which is why the restoration of a pond at Brewer Park in Ottawa is worth celebrating. On a scale of, say, the reconstruction of Lansdowne Park or downtown LRT stations, it may seem like a small thing in the life of the city. But its value should not be overlooked. 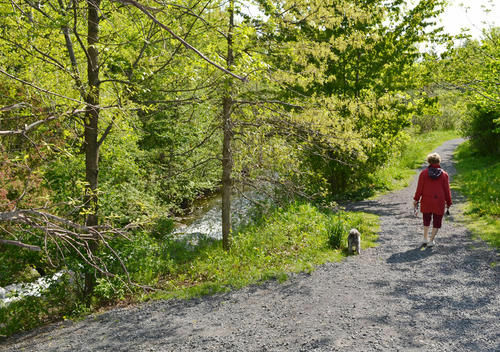 The plan being carried out by the Rideau Valley Conservation Authority, along with provincial, federal and private partners, is to reconnect a pond at Brewer Park to the Rideau River in order to build a year-round habitat for fish and other aquatic creatures. A particular focus of the project — which has been in the works since the 1990s — is to build a habitat for muskellunge, which is one of Canada’s largest freshwater fish. The pond was created decades ago from existing islands in the Rideau River by Brewer Park and Carleton University in order to build a swimming hole. The swimming area was not used long because bacteria buildup in the stagnant water made it unsafe. Reconnecting the river and the pond will allow for the regrowth of wetland habitat in the area which should be home to fish, birds and other aquatic life. The project is moving ahead now because there is private funding from Minto and Richcraft, under the Fisheries Act. The two companies are involving in building an urban community in the city’s east end, where there will be a net loss of fish habitat. Their funding for the Brewer pond project is compensation. The Brewer project suggests that development and wildlife can both have a place in a healthy city. Ottawa residents can already head to places such as Mud Lake, Green’s Creek, the shoreline of the Rideau and Ottawa rivers and more in central Ottawa to see wildlife. Soon there will be a new stop for nature lovers. 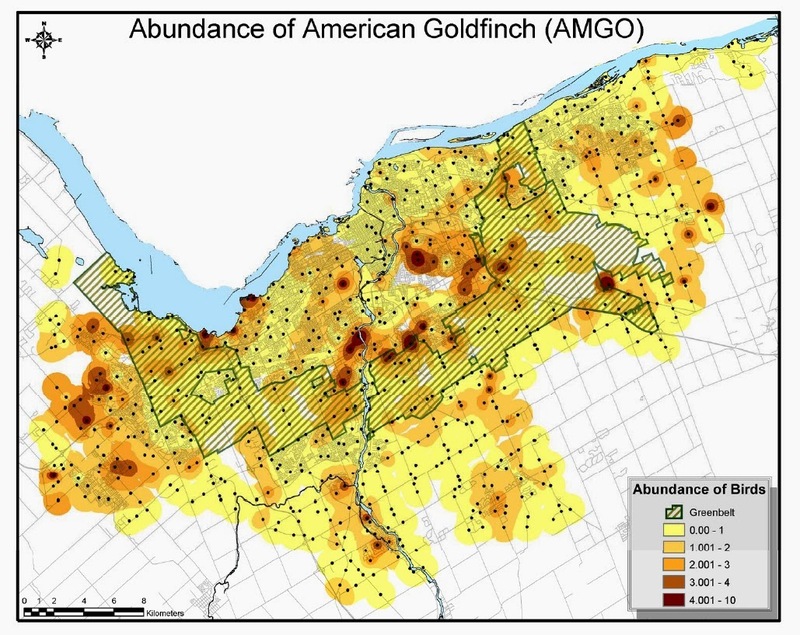 Part of the reason this project was initiated was that canopy cover was extremely low (2.5% in 2008), and this inventory has helped underline this and show where new trees are most needed. You can see all the trees in google map in either a street view or satellite view. Pretty impressive! Check out this incredible list of 100 birds that have visited Macoun Marsh, including the eastern bluebird, three types of herons, a kingfisher, three types of woodpeckers, ten varieties of warblers, eleven kinds of sparrows, two owls, an osprey, two kinds of sandpipers, three species of vireos, four ducks plus a teal and even a bobolink! Macoun Marsh is a small urban pond approximately a quarter of an acre (or 1000 m2) registered with the Ontario Adopt A Pond program. It is surrounded by an acre or more of trees on two sides and flanked by townhouses and an open grassy cemetery on the other. P.S. Check out my post about Similar Aquatic Plants, Local Birds Close to the Marsh and my latest: Online Nature Resources by Nature Canada! Great greening the city project in the states (with a focus on reducing area flooding) - they are even talking bioswales! In 2012, residents and business owners along Milwaukee Avenue between Kimball and California will be eligible to apply for funding to support property improvements that reduce neighborhood flooding, protect Chicago’s waterways, and make Milwaukee Avenue one of the most environmentally friendly blocks in Chicago. 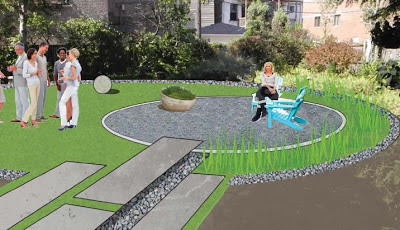 The Illinois Environment Protection Agency has awarded a $200,000 Green Infrastructure Grant to help finance green, water-saving projects along the entire corridor, such as green roofs, permeable pavers, rain barrels, and rain gardens. The Milwaukee Avenue Green Development Corridor is a joint project led by the City of Chicago and Ald. Rey Colón (35th Ward), funded by the Illinois Environmental Protection Agency, and supported by Metropolitan Planning Council and Chicago Community Loan Fund. We'd love to know more about this event held at the end of May at Macoun Marsh. We had heard that they were going to use sonar to record the bats and determine what species could be found but if it was bat tagging - that would be a whole other level! From St. Laurent Academy Blog: Bat research scientist Brian Hickey (St. Lawrence River Institute of Environmental Sciences) will join us on Thursday, May 30 from 7:30 pm to 9:15 pm to search for Hoary and Little Brown Bats! COME JOIN US AT MACOUN MARSH! Mr. L.
From Biodiversity Matters Blog: We had a bat and night critters evening at the Macoun Marsh. Bat research scientist Brian Hickey (St. Lawrence River Institute of Environmental Sciences) came out to search for Hoary and Little Brown Bats. Both were recorded. From Pub Patio Playdate: The man accompanied little one’s preschool class on a field trip to the Macoun Marsh last week and had an awesome time. A few days later he attended a bat-tagging excursion at the marsh and he can’t wait to spend more time exploring the area’s rich biodiversity. I had to miss the field trip but am looking forward to checking this place out soon. 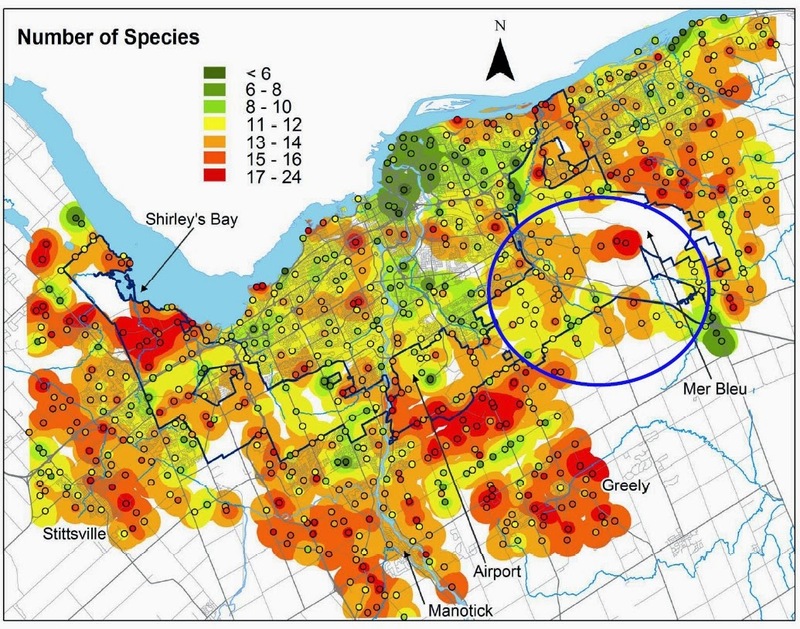 Update August 2013: Bat research continues at Macoun Marsh. 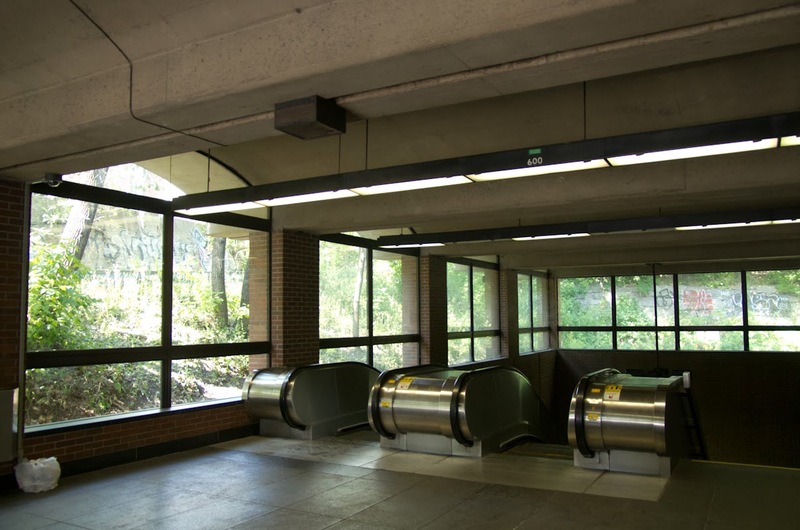 The MNR has an educational Bat Fact Sheet which is part of their "Living With" series. 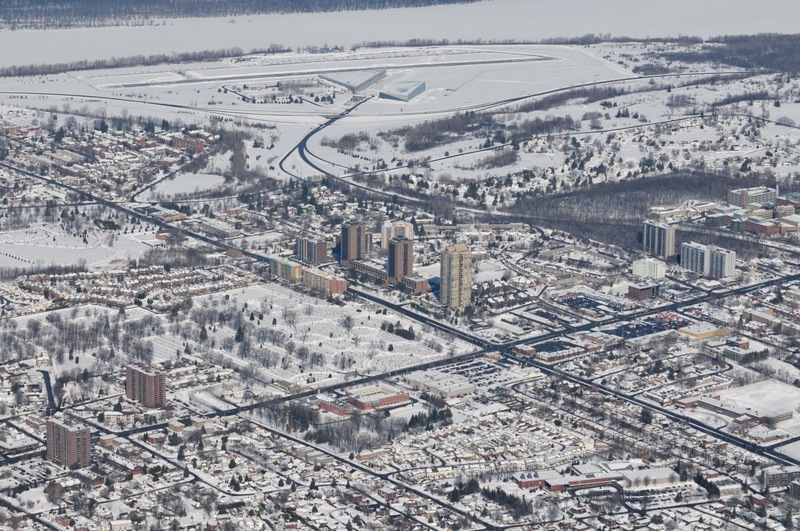 A tree canopy project taking place in Old Ottawa South plans to identify types of trees growing in area parks and the value the trees offer the neighbourhood and city. On Oct. 11, a group of Old Ottawa South residents, Carleton University students, officials from the Rideau Valley Conservation Authority and Heather Hamilton, a former forests and green space advisory committee chairwoman, gathered to count the tree canopy in Brewer Park. Hamilton said she got involved because she was looking for a fun community project and since the city is only taking stock of street trees but not in parks, it was just right. "We're filling in the gap." she said. The objective of the project, which is also taking a canopy count in Windsor Park, is to use the data collected to prepare a report which will include information on all the trees in the park. 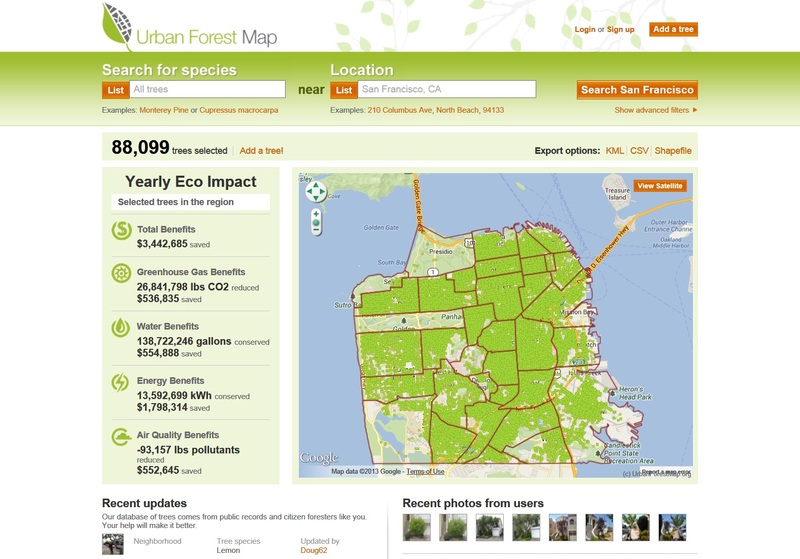 The report will include location maps and global positioning system data, pictures, species and size of the trees. "It would be nice for us to get a picture from both the neighbourhood and city perspective," Hamilton said. 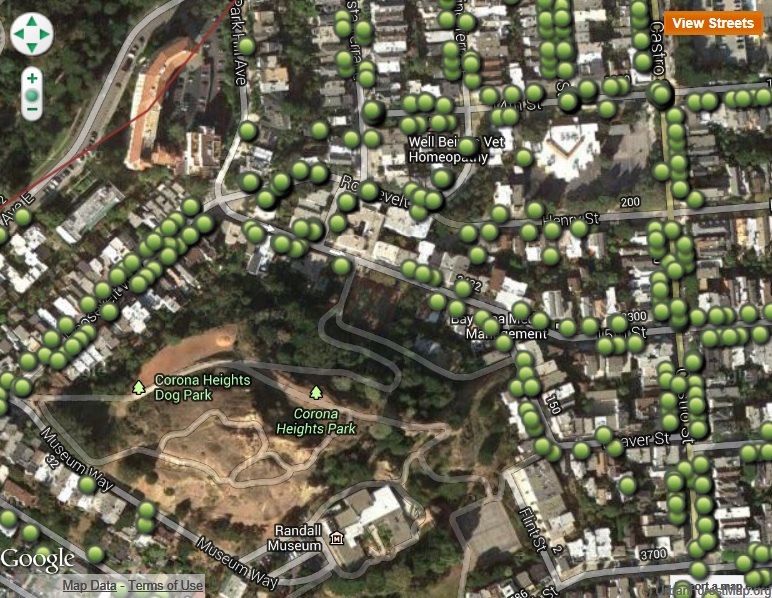 "To see how much parks are contributing to the overall health of the city." She explained such factors as a tree's contribution to controlling storm water run-off, air pollution and local weather temperatures. "Without trees, it would be hotter, more polluted and your basement might be flooded," Hamilton said. The catalyst for this project has been the emerald ash borer. The beetle has burrowed itself in ash trees all over the city and as a result thousands have been lost. For Mike Lascelles, chairman of the Ottawa South Community Association environment committee, this project will help the neighbourhood have a better understanding of what types of trees are in the parks and whether any existing ash trees are healthy. This canopy count will help the Old Ottawa South community have an idea the amount of trees that will potentially be lost in the parks. "We can put a plan together to replace the trees, if need be," he said. "Things are really in tough shape there (at Windsor Park), with 30 to 40 emerald ash that are on death row, wind damaged trees and vandalized trees." Scott Danford and Dan Cooper from the Rideau Valley Conservation Authority are also helping with the project. "Sometimes it can be very hard, these guys are the experts, it is great to have them," Lascelles said. Erika Rose, a fourth year environmental sciences student at Carleton is one of the students participating. For Rose, being out in the field is the best kind of experience she can get and having the opportunity to do her research in Brewer Park, her neighbourhood, is even better. "I thought it would be cool to do something in the neighbourhood where I interact and live," Rose said. "It is better than just reading about it. Here you are in the field, learning first hand." The project, Hamilton said is something neighbourhoods across the city can also start. "Anyone can do this, as long as you can access some sort of expert for the identifying," Hamilton said. "Certain aspects are not difficult, and some keen naturalists could do it." The group will complete the Brewer Park and Windsor Park counts, Hamilton said, by mid-October. Once the inventory is done will there be some thought in terms of planting more diverse and native trees as per Diana Beresford-Kroeger? Bosco Verticale (in Milan, Italy) is a vertical forest design that will be open later this year. It will include 900 trees, oaks and amelanchiers, 500 shrubs, and 11,000 ground plants—the equivalent of 2.5-acres of forest. If each residential unit had been constructed as individual stand-alone units, more than 50,000 square meters of land and 10,000 square meters of woodland would have been required. 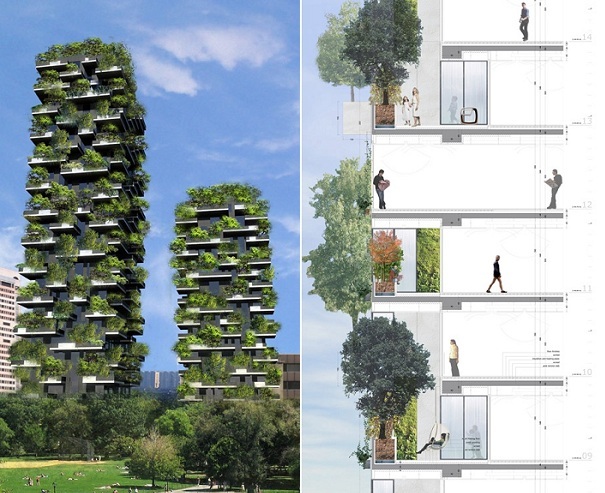 Each balcony houses a mini-forest complete with a rainwater watering system and construction costs of Bosco Verticale are only 5% more than those required for the usual skyscraper, which will promote replication in other cities. It will be the first of its kind - providing vital ecological and energy benefits within the confines of an urban area. All information/images are from Great Ecology.